Winemaker’s Notes: Pale yellow in color with green reflections, Terrunyo Sauvignon Blanc displays expressive fruit notes of gooseberries, lime, and grapefruit intertwined with herbs. A medium-full bodied wine with ripe citrus flavors, herbal hints, and fresh minerality. Crisp acidity is followed by a juicy, lingering finish. Pair with seafood, shellfish, and sushi. 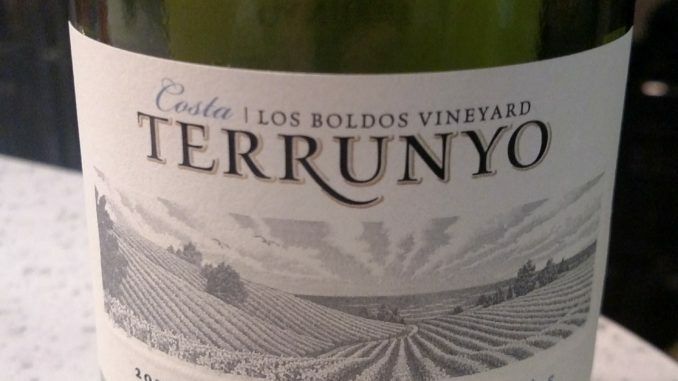 My Review: Getting me to try and Chilean Sauvignon Blanc isn’t really a big ask; it’s easily one of my favorite whites, especially during the warmer months. So it’s not really surprising that I jumped at the chance to try the 2016 Terrunyo Sauvignon Blanc, especially as it’s not one I’ve gotten to try before. In the glass the wine was a pale yellow color, and on the nose I picked up gooseberries and herbs. In the mouth the wine was crisp, with lime, stone fruit, and grapefruit, with just a touch of grassiness, something I associate with New Zealand Sauvignon Blanc more so than Chilean. My wife and I paired the wine with a salmon dish and the acidity of the wine was a nice counter to the fattiness of the fish while also being enjoyable to sip on by itself. I don’t know that I’d go as far to say that this is my favorite Chilean Sauvignon Blanc, but I certainly didn’t dislike it, and I wouldn’t shy away from buying it at my local wine shop. My only real hang-up is that I know I can get a Sauvignon Blanc from Chile that checks all the same boxes as this wine for less money. That being said, the price isn’t offensive or out of line, so don’t let the price dissuade you from trying it.